The One — That Cost How Much? If you read any magazines, I'm sure you know by now that fringe is the biggest trend for summer 2015 and beyond. Accordingly, there's a huge array of fringed handbags on the market and naturally, I want one. I bought this guy last year and it was just too heavy metal for me for every day wear. Other styles just seem too much like a hippie costume. The perfect bag (for the perfect price) has eluded me. Until now! Other Stories has been killing it in the accessories department this season. Their sandals, jewelry, and hats are just right. 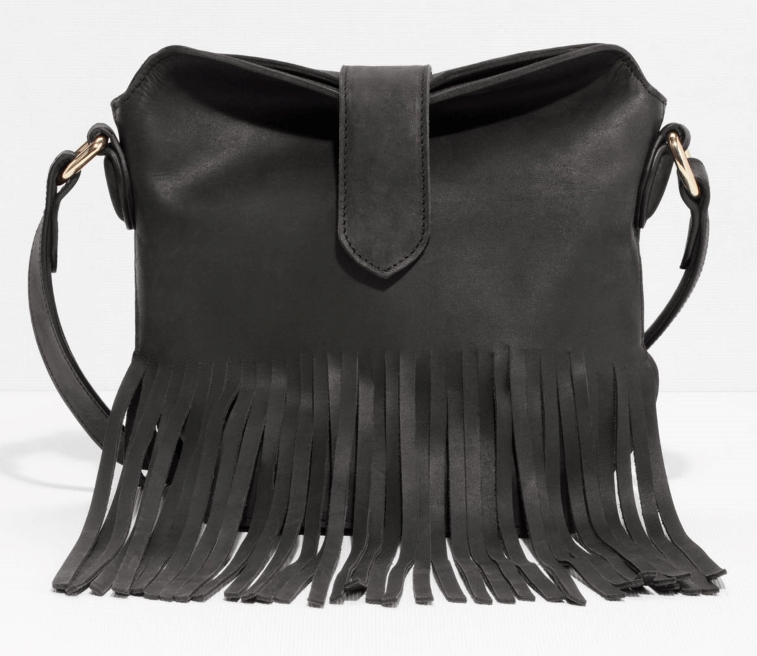 My favorite is this pared-down take on the fringed bag. It will go with everything and is the perfect size for my wallet and MetroCard. While it's not on sale (yet), I really think this will go the distance this summer. Also available in the most perfect orange-red. See it on a body here!